Directions: Using the whole numbers 1 through 9 as numerators or denominators, how many fractions can you make that are less than one half? 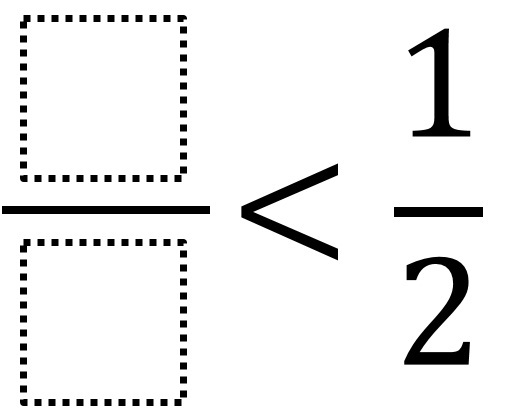 How can you tell if a fraction is less than one half? How can you be certain you have all possible solutions? I’m curious as to why you are counting equivalent fractions separately in your answer. Since 2/8 = 1/4 and 3/9 = 2/6 = 1/3, I initially found only 13 fractions. Just seeing this. I would count them as separate answers because although they are equivalent, they have a “different number and size of parts” which is language that comes from a 4th grade standard. A question on the equivalent fractions students find would be a great follow-up question, though!